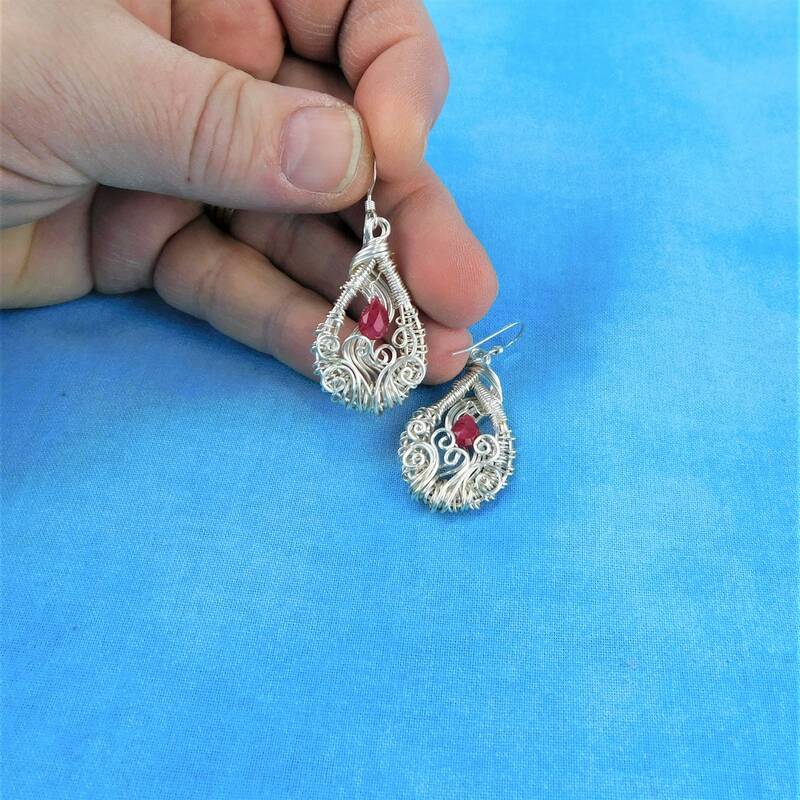 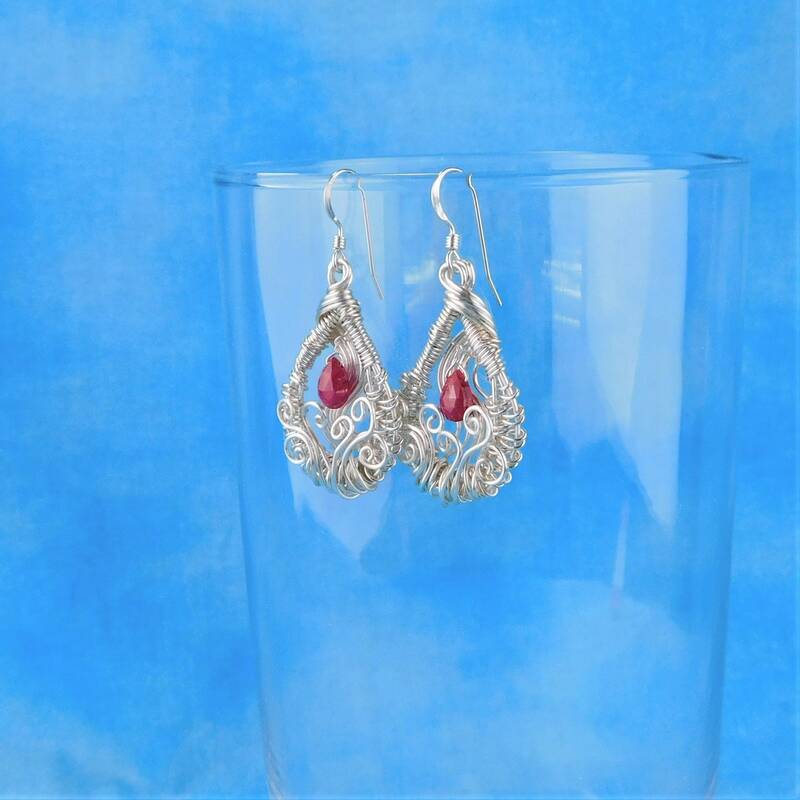 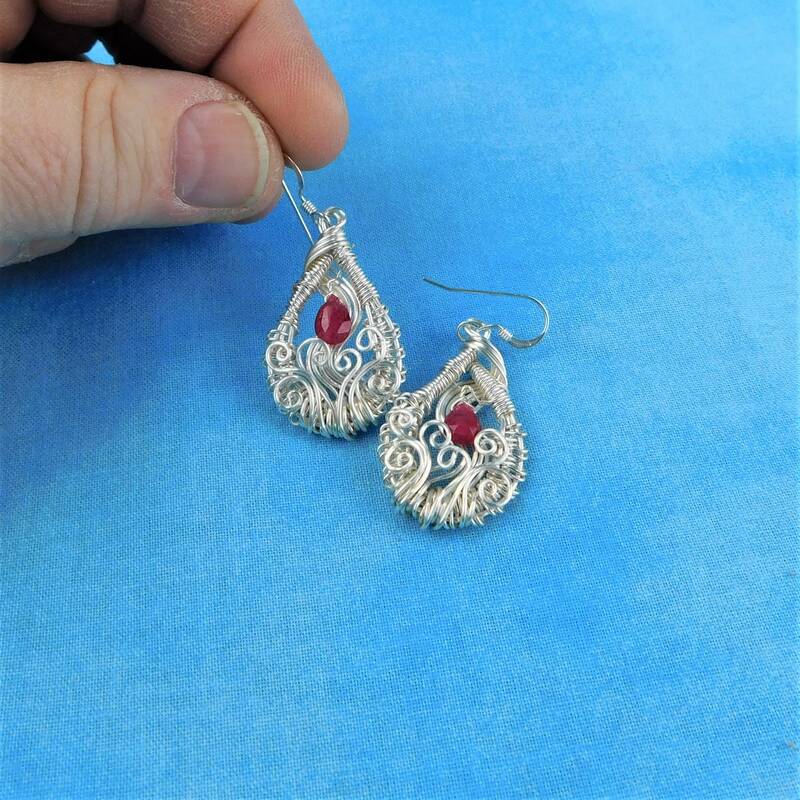 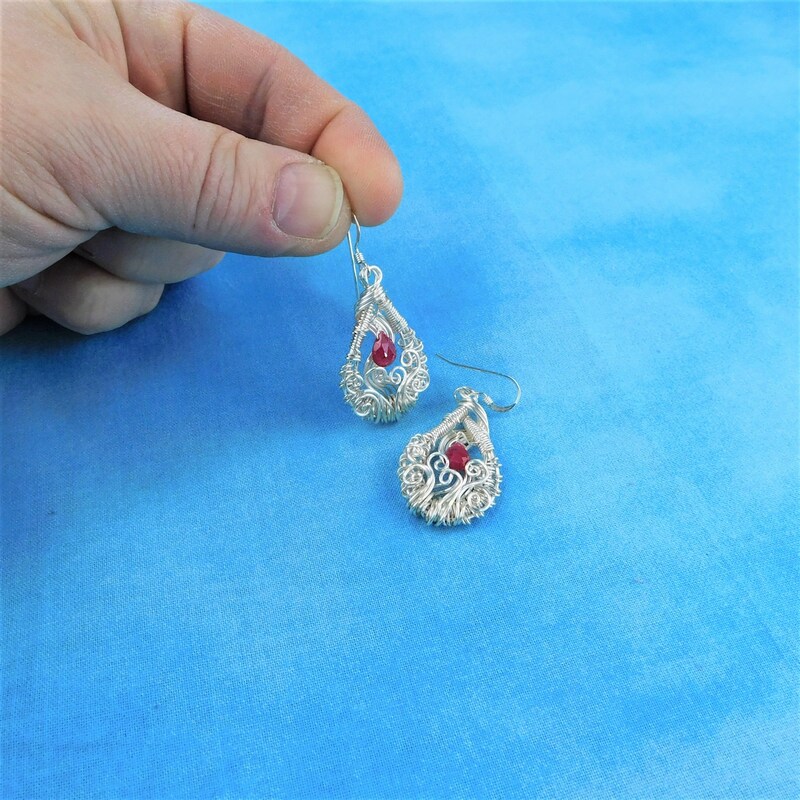 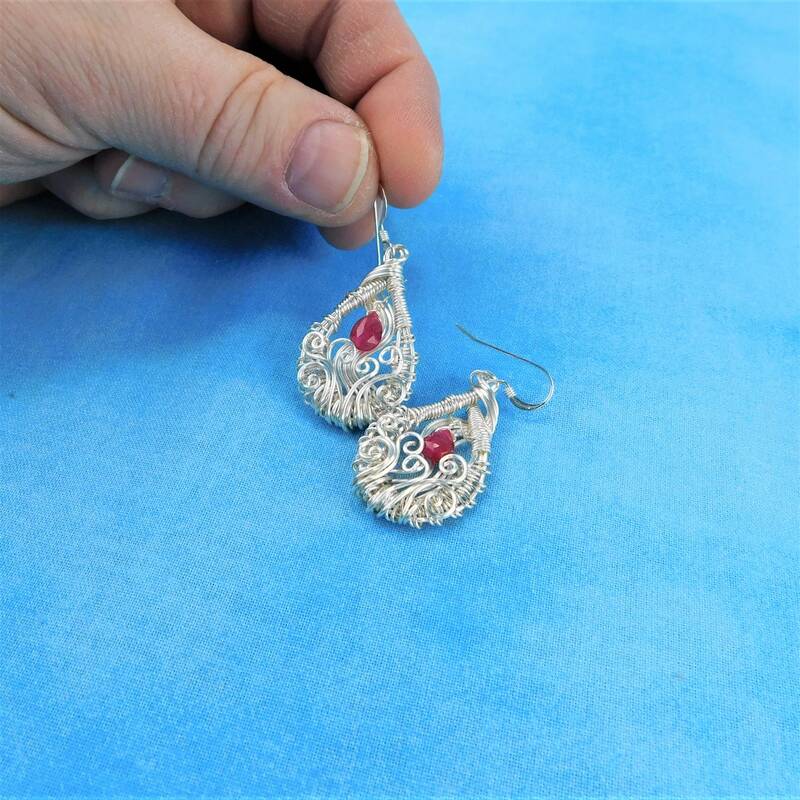 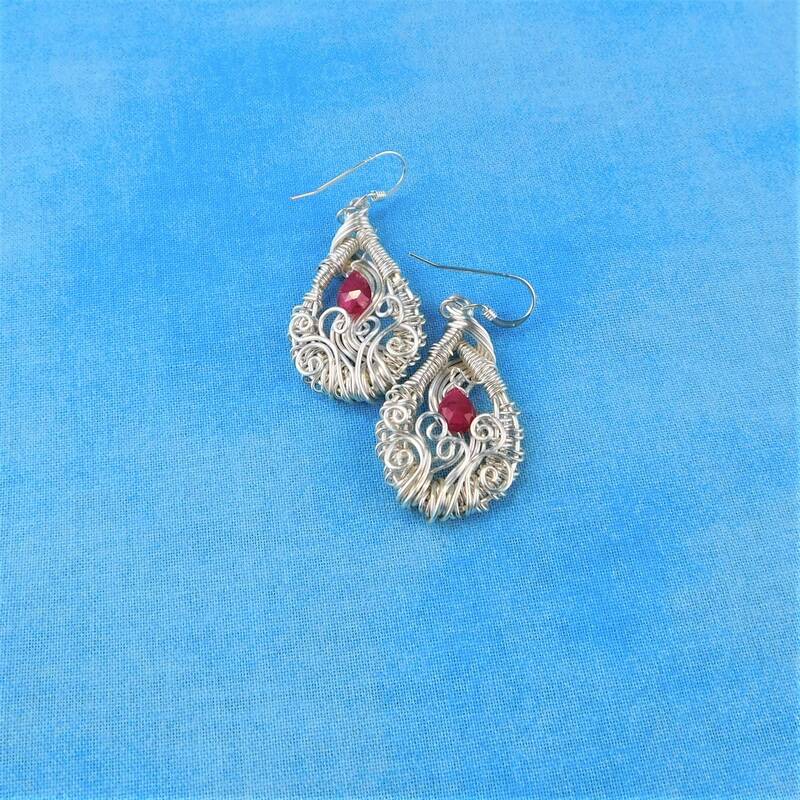 Two 10 mm faceted genuine ruby teardrops are centered into artistically hand woven non tarnish fine silver over copper wire wreaths, dangling 1 inch from sterling silver ear wires. 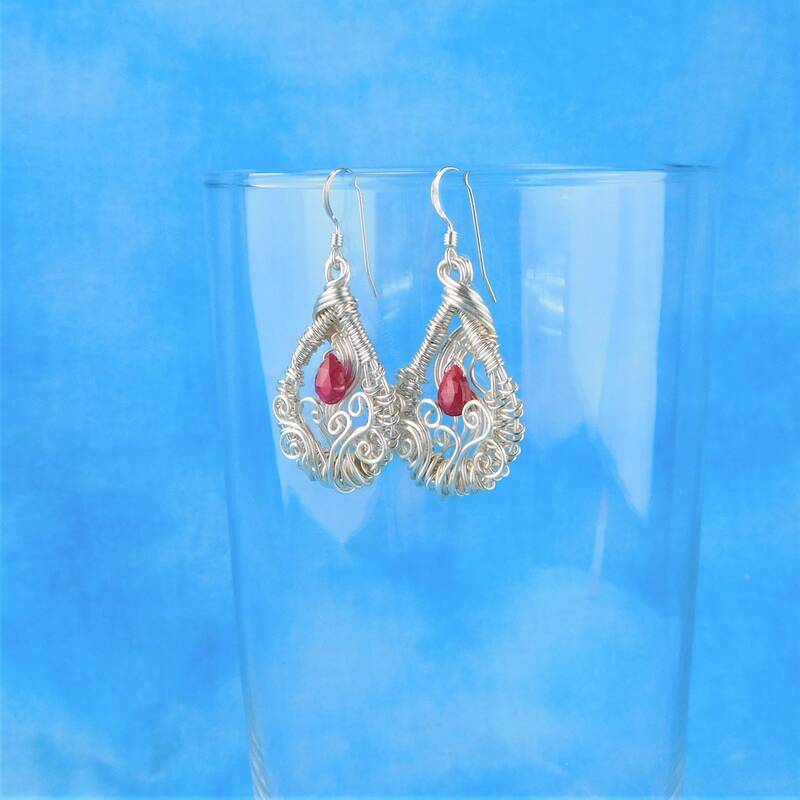 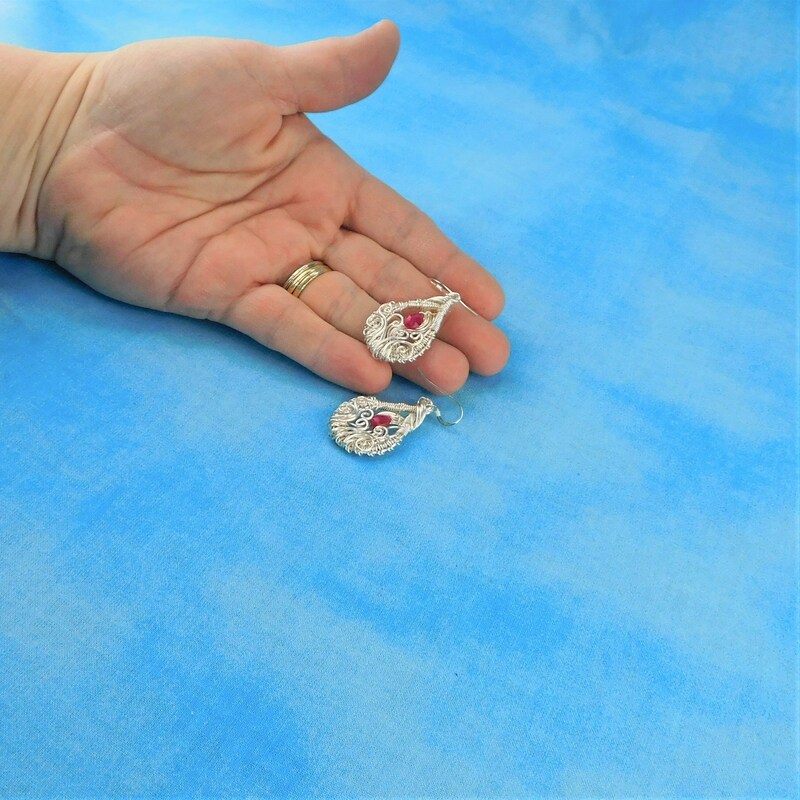 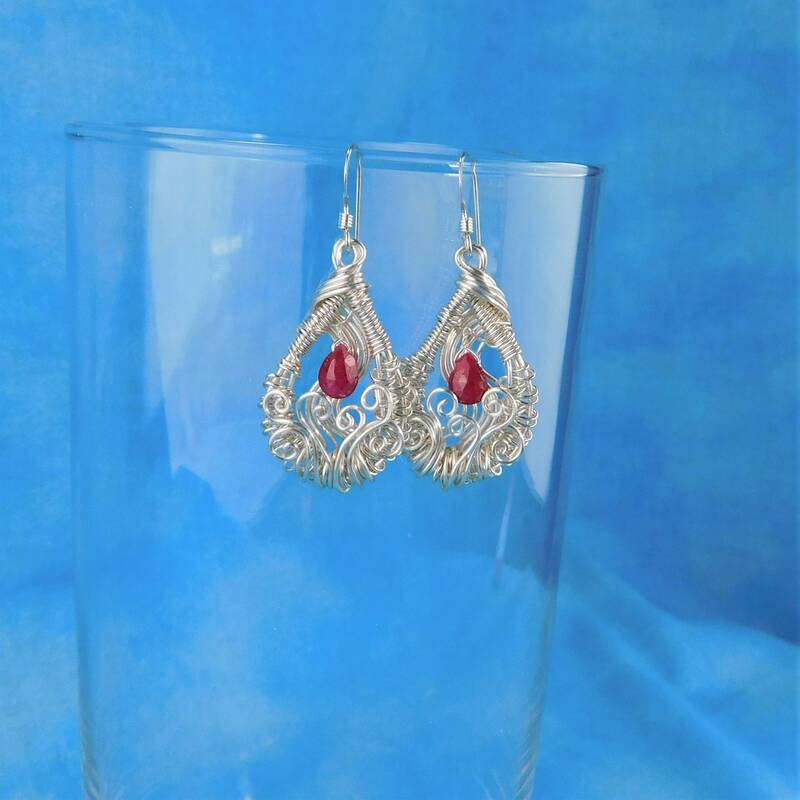 The earrings are meticulously handcrafted using four strands of wire, pliers and patience. 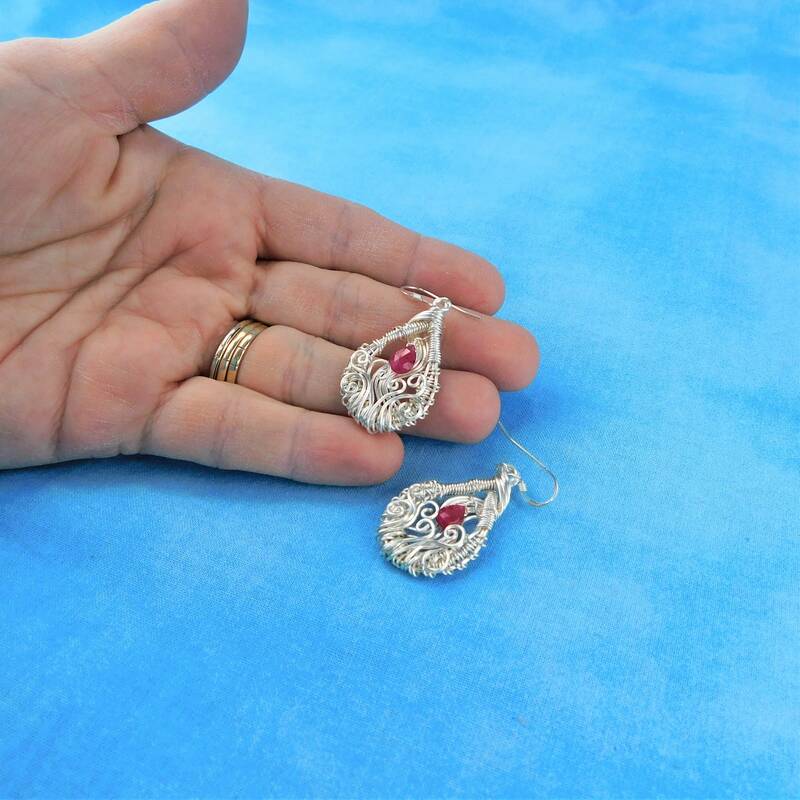 They are the perfect gift for a loved one born in July.